The sexual abuse of children is a national disgrace. For decades, young people were victimized twice — first by their tormentors, then by institutions that covered up what happened, protected abusers and offered victims no recourse. No opportunity for justice or compensation, no chance to heal. Religious institutions, schools, scouting groups, athletic organizations, politicians and even families were complicit in shielding perpetrators, hiding the truth and exacerbating the suffering. 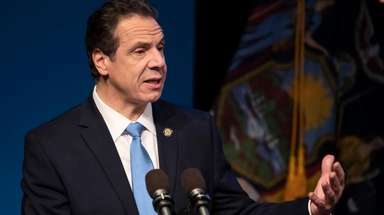 The Child Victims Act passed overwhelmingly by the New York State Legislature this week was long overdue. It finally will change the dynamic surrounding childhood sexual abuse in favor of victims, and force a consideration of cases long buried in time. In the bill that passed, school districts were not exempted; this heinous behavior must be rooted out everywhere, which won’t happen without the purge the legislation promises. The bill raises the age by which victims can pursue criminal charges against abusers to 28, and allows survivors to file civil suits up to age 55 — critical changes since victims can struggle for years to admit and address what happened to them. The measure includes what had been the most controversial provision, a 1-year window for people abused in the past to sue for damages, regardless of when the period expired for such lawsuits. That time frame should be adequate for the aggrieved to file claims while allowing the institutions being sued to know with certainty their possible liability. Passage of the bill included a remarkable scene of four Democratic lawmakers from NYC — Sen. Alessandra Biaggi and Assemblywomen Yuh-Line Niou, Rodneyse Bichotte and Catalina Cruz — talking about being sexually abused as children. But the unanimous vote in the State Senate hid a disturbing disingenuousness. All 24 Republicans, now in the minority, voted for the measure, after their majority caucus blocked its passage for years and denied relief to victims so badly in need of it. The bill’s advance comes amid a massive cultural shift in attitudes toward sexual abuse in general. The pendulum is swinging toward justice, openness and consequences. Fear that institutions would be exposed and have to pay huge settlements for their members’ actions has been eclipsed by anger toward abusers and acknowledgment of the fear and trauma of victims. In this new climate, Bill Cosby is convicted, Harvey Weinstein is headed to trial, and politicians and corporate heads are dismissed or forced to resign. In this climate, Catholic dioceses and religious orders around the country publish lists of members credibly accused of sexual assault or abuse — 36 new lists by dioceses alone in 2018; another six updated lists previously published. In this climate, former U.S. women’s gymnastics team doctor Larry Nassar is sentenced to as much as 175 years in prison for abusing scores of girls in his care. And, importantly, consequences ripple. USA Gymnastics has filed for bankruptcy, facing lawsuits from more than 350 Nassar victims, and is fighting decertification by Olympic authorities. Change isn’t easy, especially on an issue like child sexual abuse. New York finally has done the right thing in giving victims a voice and a way to ease their torment.